NOT ANOTHER QUARRY IN THE TEXAS HILL COUNTRY! Our GO FUND ME campaign is solely designed to assist the home & land owers in hiring legal represenation and the necessary experts to address the negative aspects of this quarry in the Texas Hill Country. 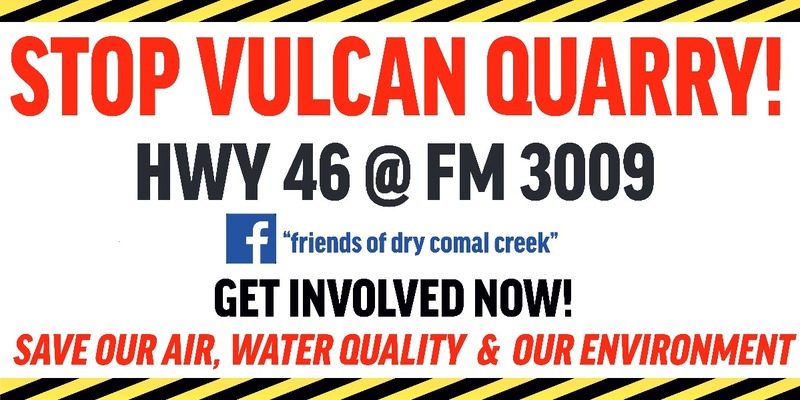 Our intention is to STOP VULCAN QUARRY. WHY IS A QUARRY SUCH A BAD IDEA? The Air Quality Permit being sought by Vulcan Materials, Inc will NOT ONLY adversely affect the quality of the air, but add carcinogenic particulate matter that over time will cause ill health effects on both humans and livestock. 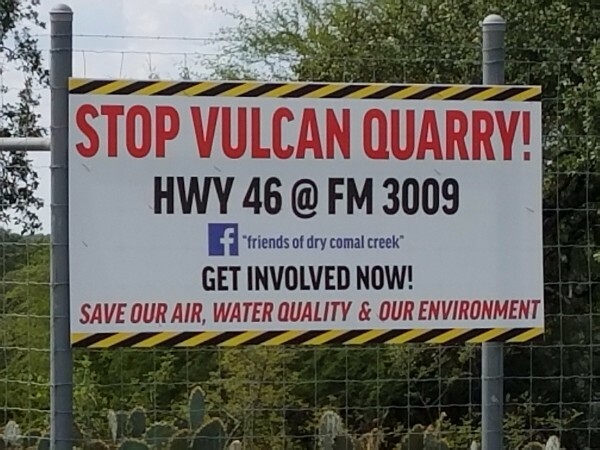 Vulcan Materials, Inc. is the same company that has had multiple complaints about its 1604 quarry, which has negatively affected the long term health of residents. https://www.youtube.com/watch?v=8upsWwbqjpY. TECQ, the supposed enforcer of the air quality rules, has routinely failed to 'clip' their wings . Essentially TCEQ offers Vulcan Materials to operate with impunity over and over. Give this new quarry 10 years at Hwy 46 and FM 3009, this is what the now pristine part of Comal County will look like. o purchase land or homes when there is 24-hour blasting; rock crushing machines and diesel-powered trucks hauling rock along two-lane roads are spewing diesel emissions 24 hours a day; and carcinogenic particulate matter and dust will surround and coat your cars, land, homes, and roadways. 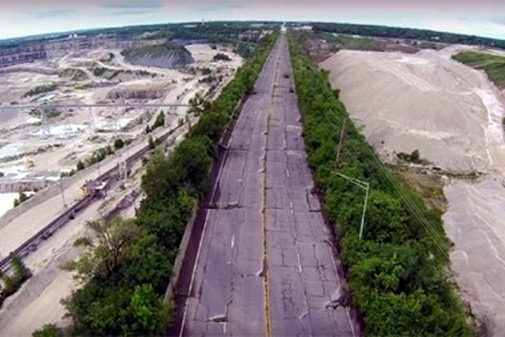 Essentially, our homes and land are NO LONGER places of enjoyment, but a sinkhole (literally and figuratively) when property values decrease up to 20% in proximity of a quarry. 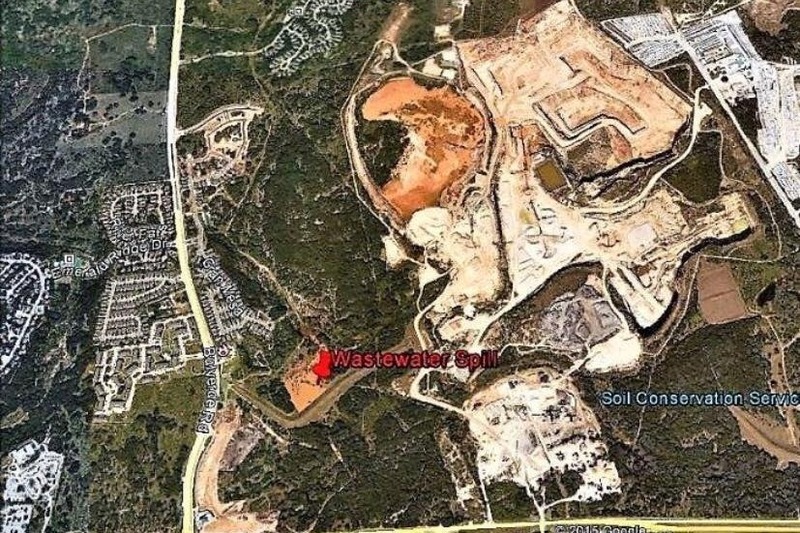 Besides the proven effects of diminished air quality associated with a rock crushing plant, this quarry would sit right on top of the Edwards Aquifer Recharge Zone and at the headwaters of the West Fork of the Dry Comal Creek. It will have the ability to pump unregulated amounts of water out of the Edwards and Trinity aquifers at the expense of surrounding properties’ wells. If you don't think that there will be adverse downstream effects on Comal River and New Braunfels, you are sorely mistaken. Consider that a quarry will also scoop out all of the ground and rock coverage which currently acts like a sponge during heavy rain events. The current ground cover absorbs ground and surface water and scrubs it as the water permeates through the limestone. When we receive 10-15 inches of rain and the 'sponge' has been removed, the flooding problems of the West Fork of Dry Comal Creek and the Comal River will be greatly exacerbated. NOTE: The Air Quality Permit DOES NOT take into consideration aquifer implications, surface/groundwater water quantity/quality, blasting implications, diesel emissions, increased road traffic, dewatering/over-pumping of water thus increasing likelihood of dry wells. We are needing all sorts of financial support to hire our frontline experts. If 300 people gave $100 each we would be well on our way. 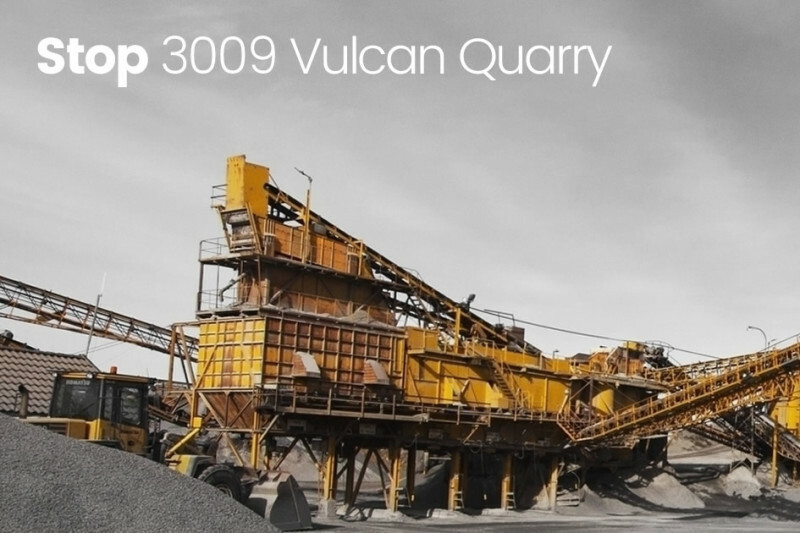 There are many, many things to be thankful for in the Texas Hill Country, a Vulcan quarry is NOT one of them. Please show your support and help us reach our goal.